Many factors affect a business sale but occasionally it is all about location! Russell Gorman Podiatry in Birmingham has been established for more than 30 years and, at the ripe old age of 83, it was time for our clients to hang up the nail clippers for the last time and enjoy the fruits of their labour. Mr and Mrs Gorman had built a very successful business over many years, initially providing podiatry services and following up with a retail outlet for health products. The business grew to its peak in the late 90’s/early 00’s and not only employed their own son but also many other local workers. They built a reputable and well-known business in the region, providing high-quality service and products. As with many owner/managed businesses, several factors over the years started to affect the level of trading. Their son decided to take his own path in life and left the business to pursue a career away from Podiatry. They had started the business late in life and their success had provided them with financial security. However, the client base was ageing along with them (and their assets), and at a comfortable stage in life, they decided to throttle back a little and become more selective with clients and hours of trading. As such, the retail side of the business slowly declined and the podiatry service became little more than a vocation in recent years. When we went to see the client, it was apparent that they saw little value in the business, other than the property that they had purchased and operated from. They considered putting the property through auction but had been advised to consult a business broker instead. Business Partnership was instructed to sell the business and property in early 2017. We took the business to the marketplace and generated a good level of interest very quickly from other podiatrists looking to expand their own operations along with local businesses purely interested in the location. A deal was agreed with one of the local business owners, for whom the location of the premises was ideal, and achieved a significant uplift for goodwill on top the fixed asset value because of this. Goodwill or intangible asset value of a business is subjective and can be significantly more valuable to certain investors for a wide variety of differing reasons. By taking the business to the marketplace through a reputable broker and professionally placing the opportunity in front of genuinely interested parties, the potential to maximise the value of your business can be achieved. In essence, the “true value” of a business is only realised at the point of sale and unless the marketing strategy is defined and implemented fully there may always be a question of “what if” once the sale is complete. 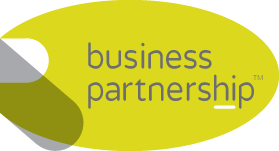 To discuss your business news call Business Partnership for professional and friendly straight-forward advice.